Transnational Dispute Management (TDM) announces a special issue on international arbitration involving commercial and investment disputes in Africa. Proposals for papers should be submitted to Thomas R. Snider (snidert@gtlaw.com), Professor Won Kidane (kidanew@seattleu.edu) and Perry S. Bechky (pbechky@iti-law.com), as well as cc info@transnational-dispute-management.com. Submission deadline: January 31, 2016. Publication is expected in July-August 2016. 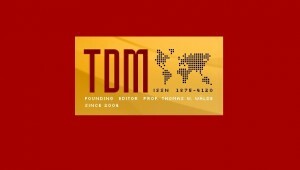 Please see the TDM Call for Papers: Special Issue on Int’l Arbitration involving Commercial and Investment Disputes in Africa website for more information.